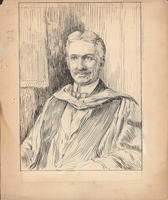 Arthur Stanley MacKenzie was an important figure in education in Nova Scotia for over forty years. 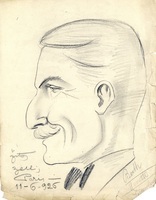 He was born in Pictou on 20 September 1865, the son of George Augustus and Catherine Denoon Mackenzie. He was educated in public schools in Pictou, New Glasgow and Halifax before studying at Dalhousie, where he won the George Munro Bursary and exhibition and the Sir William Young gold medal and honours in mathematics and mathematical physics. He received his doctorate from Johns Hopkins University in 1894. In 1895 MacKenzie married Mary Lewis Taylor, of Indianapolis, who died one year later. MacKenzie subsequently raised their daughter, Marjorie, on his own. MacKenzie taught at Yarmouth Seminary from 1885-1887. He was hired as a tutor in mathematics and physics at Dalhousie from 1887-1889 and then spent two years at Johns Hopkins as a scholar and teaching fellow. From 1891-1905 he taught physics at Bryn Mawr College and then returned to Dalhousie University as George Munro professor of physics. 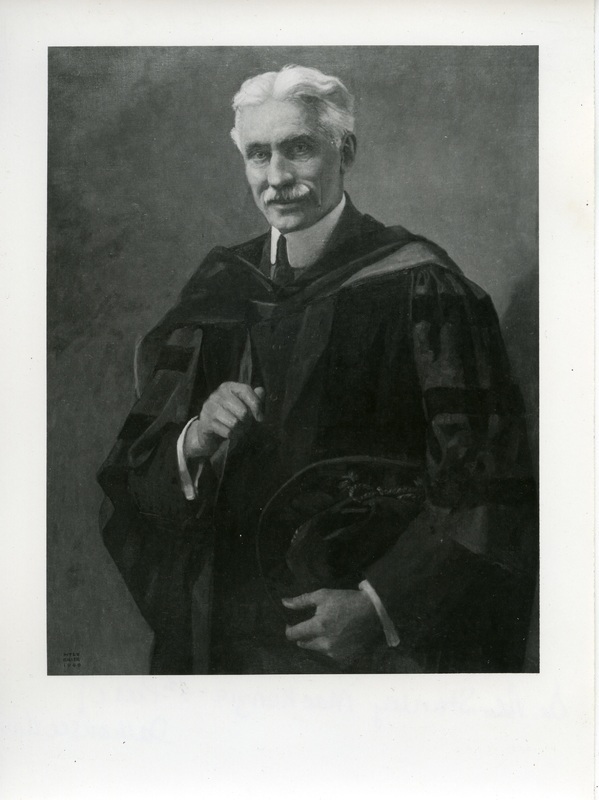 He spent the year of 1910 in New Jersey at the Stevens Institute of Technology, but returned to Dalhousie in 1911 when he was offered the position of President. 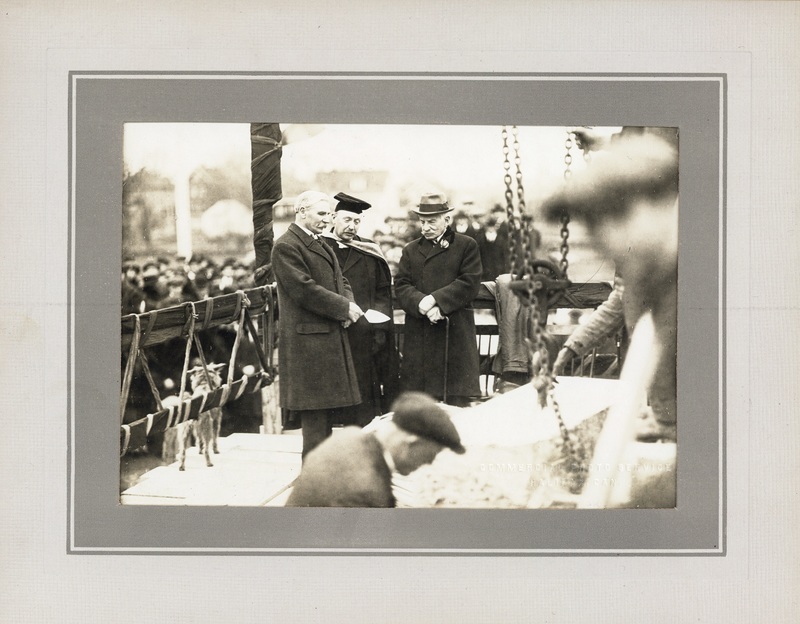 MacKenzie was a successful president and is recognized for the first constructions on the Studley campus. 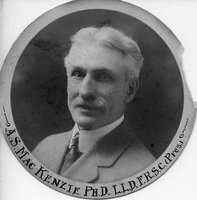 MacKenzie was widely recognized for his research contributions. He was a member of the Nova Scotia Institute of Science, the American Physical Society, and the National Research Council of Canada. He was a fellow of the American Association for the Advancement of Science, the Royal Society of Canada, the Nova Scotia Institute of Science, the American Physical Society, and the National Research Council of Canada. He took an active role in his community, serving as president of both Ashburn Golf Club and the Halifax Curling Club. 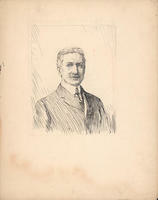 Arthur Stanley Mackenzie retired from his presidency in July 1931 and died in Halifax on 2 October 1938. 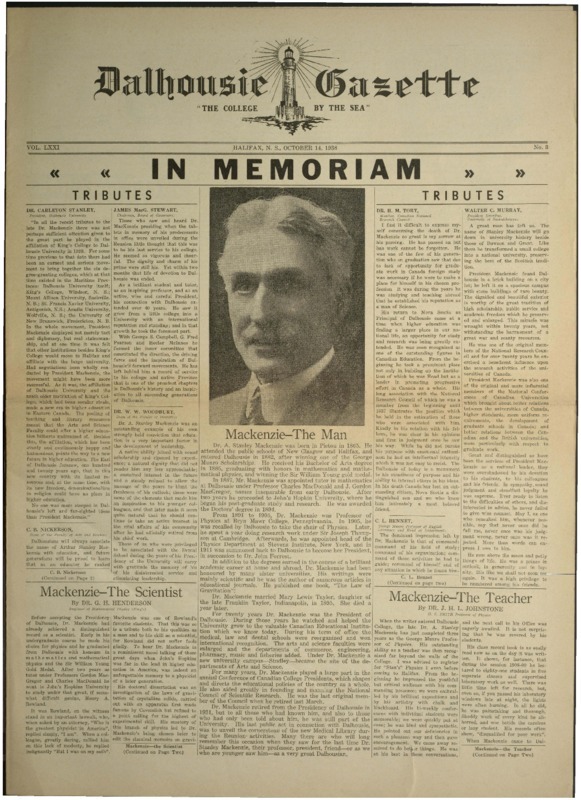 After MacKenzie's death on October 2, 1938, the Gazette published tributes to him written by all of Dalhousie's senior staff and professors.